The Defence Experts on Monday lauded the Indian Army for successfully foiling fidayeen attack at the Central Reserve Police Force (CRPF) camp and killing militants in Bandipora district of Jammu and Kashmir. "Indian intelligence has improved. New arrangements have also been made to control infiltration. Army takes their decision on its own, that is why the success rate in operations has increased," Defence Expert Qamar Agha told ANI. He further said that these attacks have been continuously happening, adding that this is an all out war against militancy. Defence Expert Shivali Deshpande also hailed the Indian Army for its swift action against the terrorists, while saying that the security forces need to be vigilant to counter such attacks. "The very fast action shown by the CRPF in killing these four terrorists was absolutely fantastic. This is a good action and it shows that the security forces are vigilant," Shivali told ANI. She further said that the terrorists reaching the CRPF posts indicate that they have a local support and have strong intelligence services. 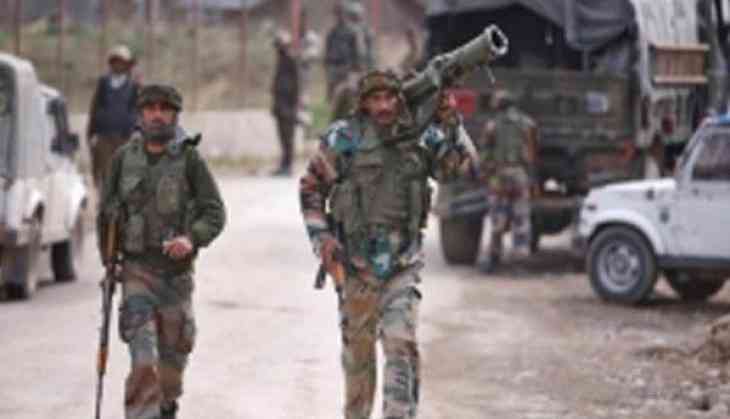 At least four militants were killed in retaliatory firing by 45 Battalion CRPF and the Jammu and Kashmir Police (JKP) at Sumbal in Bandipora district this morning. "The terrorists tried storming camp around 3:30 a.m. to execute a fidayeen attack. Four terrorists have been gunned down," Yogesh Kumar, Sub-Inspector (CRPF) told media. The CRPF also confirmed about the neutralisation of four militants on its Twitter handle while stating that CRPF and Sumbal Police successfully foiled fidayeen attack on army camp. The army also recovered four AK-47 rifles, one fitted with UBGL, grenades and huge cache of ammunition.